Michael is member of the group which preserves and restores former German Air Force fighter aircraft at former Airbase Memmingen. At home he once started a self-made cockpit section of an F-104G. The frame is made by himself but all the panels and components are 100% original F-104. 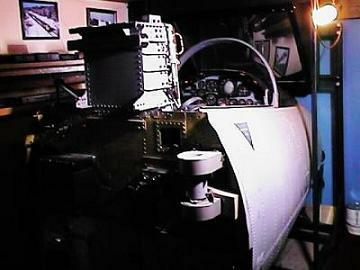 The photo shows the cockpit of Michael and was taken in November 2009. 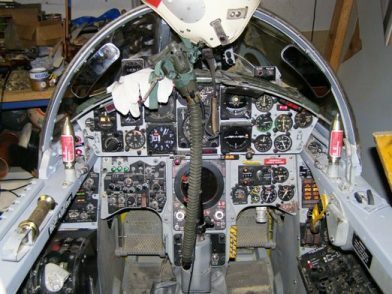 Buckhard has been collecting all kind of avionics and avionics parts of Starfighters to build up a complete cockpit. 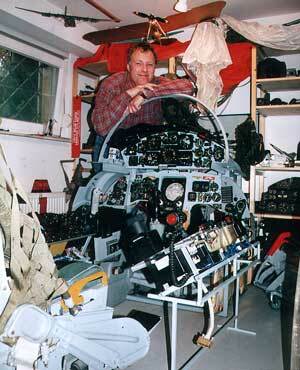 The photo shows Buckhard Fiebig in his Starfighter room showing his own build cockpit. All instruments should be working now. Photo is obtained from Buckhard and obtained via Ton vd Zeeuw. 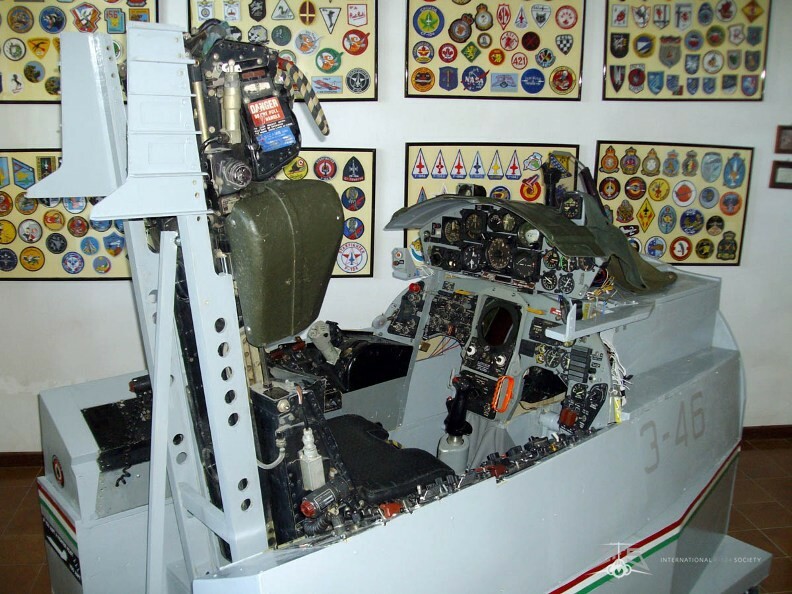 Someone in Germany build up an F-104G cockpit at his home and build some kind of cockpit construction around the framework. It was first noticed in April 2002. The photo shows this cockpit. 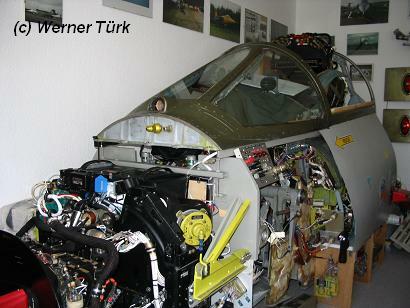 Werner Türk collected Starfighter cockpit instruments and more for lots of years. In between he has build a nice cockpit frame and is still busy getting it more complete. It becomes a nice playing area inside the home of Werner Türk. some others Italian cockpit’s owners which was a nice event. In Hengelo some build a private self-made cockpit. A real front and main canopy has been added giving it a real look.